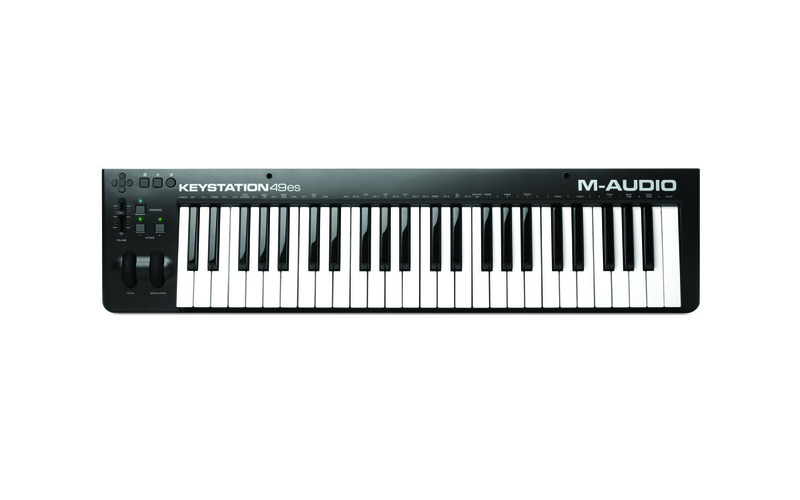 Step into computer-based music creation and performance with the Keystation 49es keyboard controller from M-Audio. Keystation 49es is a simple, powerful MIDI controller designed for sequencing music and playing virtual instruments on your Mac or PC. It features 49 full-size velocity-sensitive keys and a series of controls that expand the range of playable notes, expressive capabilities, and enhance your recording workflow. Use the octave range buttons; pitch-bend and modulation wheels; and transport and directional controls to play, perform, and record with your music software without using a mouse or trackpad. Keystation 49es also includes a 1/4” (6.3mm) sustain pedal input that lets you use an external control pedal, such as the SP2 (sold separately), for genuine piano sustain. Lightweight and durable, Keystation 49es is perfect for traveling musicians who want to take command of music software during live performances or producers who wish to add an intuitive MIDI controller with a natural feeling keybed to their studio. For an easy-to-use and portable setup, Keystation 49es is USB-powered, class-compliant, and supports USB-MIDI connectivity. Plus, Keystation 49es supports iOS connectivity with the Apple iPad Camera Connection Kit (sold separately), enabling you to perform and compose with audio apps on your iPad and other iOS devices. Bundled with Keystation 49es is Ableton Live Lite – one of the most popular performance and production programs available in the world. A powerful music creation tool, Ableton Live Lite enables musicians and producers to spontaneously compose, record, remix, improvise, and edit musical ideas in a fluid audio/MIDI environment. Explore sonic possibilities in real time whether on stage or in the studio. When you are satisfied with your work, Ableton Live Lite lets you save it or mix it down. 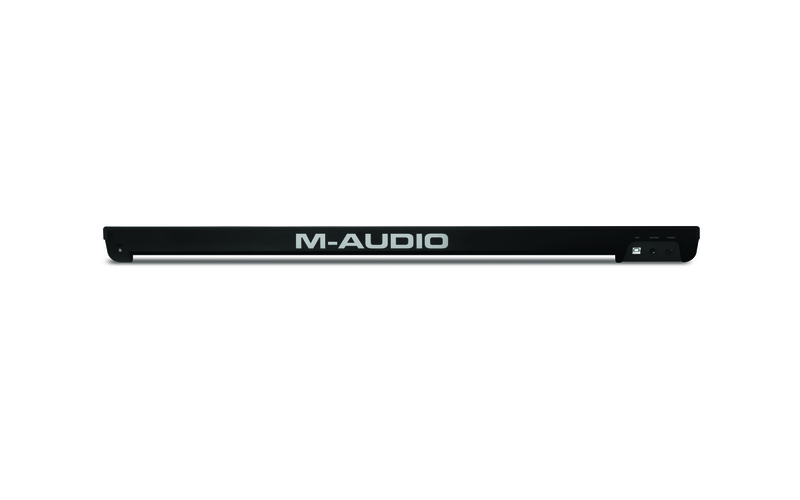 M-Audio is a trademark of inMusic Brands, Inc., registered in the U.S. and other countries. Ableton is a trademark of Ableton AG. iPad is a trademark of Apple Inc., registered in the U.S. and other countries. IOS is a registered trademark of Cisco in the U.S. and other countries and is used under license. All other product or company names are trademarks or registered trademarks of their respective owners.